All Riddle homes currently listed for sale in Riddle as of 04/20/2019 are shown below. You can change the search criteria at any time by pressing the 'Change Search' button below. If you have any questions or you would like more information about any Riddle homes for sale or other Riddle real estate, please contact us and one of our knowledgeable Riddle REALTORS® would be pleased to assist you. 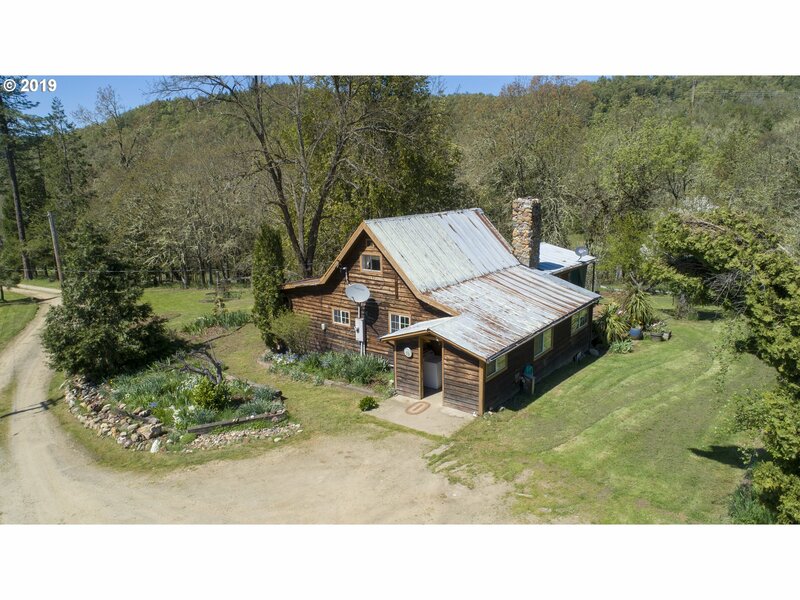 "Live the Oregon Dream on this 172 acre ranch with 2 homes, multiple ponds, and water rights from Mitchell Creek! SKS Ranch has a combination of +/- 45 acres of improved pasture, grazing areas and timber. Soil testing indicates suitability for grapes or other crops. Barn with stalls, tack room, hot water wash rack, and paved alley way. Multiple farm use buildings! Full size outdoor arena! 2 ponds! Good horse property with BLM access!" "FARMERS DREAM! SWIM, FISH, AND GROW. INCREASINGLY RARE EFU PARCEL WITH 20 FLAT ACRES OF BOTTOM GROUND COMPLETELY INVISIBLE FROM THE ROAD. APPROXIMATELY 1,500 FEET OF COW CREEK FRONTAGE. ELIGIBLE FOR GALESVILLE WATER FOR WORRY-FREE IRRIGATION OF CROPS. FARMHOUSE ON IT'S OWN SEPARATE 2 ACRE LOT. 3 STORAGE CONTAINERS. SOUTH UMPQUA WATER ASSOCIATION WATER FOR HOUSE. BUILD YOUR DREAM HOME OVERLOOKING 20 ACRES OF PRIME GROWING GROUND." "PRIVATE AND SECLUDED, 87 plus acres plus older farmhouse and approx. 32X72 barn/shop with loft. Wooded property and fruit trees. Buyer to do their due diligence concerning the property. Property being sold in AS IS condition. Lots of storage bonus buildings. Lots of wildlife of many different species. Mountain terrain that is wooded. Seasonal creeks and ponds. Septic with Local Water Association. Zoned: FG (Exclusive Farm Use-Grazing)"
"NOT JUST 1 BUT 2 CREEKS BORDER THIS BEAUTIFUL PROPERTY!!! Judd Creek and Lane Creek offer 100's of Creek Frontage. Settle down in this 1-story home on 2.5 acres in Riddle. Great features include 2 bedrooms, 1 bathroom, bold living room with wood-burning fireplace, DINING ROOM and cozy kitchen. Carport with attached Bonus Room. Property Bordered by Lumber Companies. Rv Parking and Garden space. Hurry won't last long."